MUMBAI (Reuters) - India's biggest jewellers' association has asked members to stop selling gold bars and coins, about 35 percent of their business, adding its weight to government efforts to cut gold imports and stem a swelling current account deficit. The call by the All India Gems and Jewellery Trade Federation (AIGJTF), which represents about 90 percent of jewellers, comes just days after financial services company Reliance Capital halted sales of its gold-backed funds. "As a responsible trade body, we have requested our retailers not to sell gold coins or bars. We need to help the government to solve the CAD (current account deficit) problem," said Haresh Soni, chairman of the AIGJTF, which has more than 40,000 members. India is the world's biggest gold buyer, and soaring imports have sent its current account to a record deficit. New Delhi has raised the import duty on gold twice since January 1, doubling it to 8 percent, and the central bank has imposed measures forcing customers to pay up front for gold. "We have appealed to members not to sell coins and bars till our CAD situation resolves," Soni said. 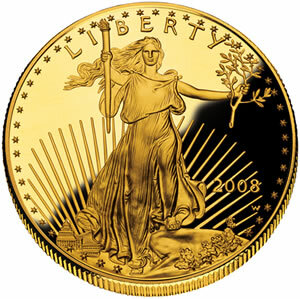 "We expect 1,500-2,000 retailers to stop sale of gold coins and bars immediately," he added. About 30 to 35 percent of last year's imports of 860 tonnes went into investment demand, Soni said. Most of the gold imported into India goes into making gold jewellery, traditionally part of a bride's trousseau and dowry. "We are safe guarding the jewellery industry ... (which) generates employment and creates revenues for the government," he said. On Monday, shares in listed jewellers such as Gitanjali Gems Ltd (GTGM.NS) and PC Jeweller Ltd (PCJE.NS) fell sharply on concerns the government measures could hit their businesses. Soni said the federation had asked the government to reduce the import duty from 8 percent to 4 percent. Falling world prices from mid-April triggered a surge in demand globally. India's imports hit a record of 162 tonnes in May, more than double the average monthly import level in 2011, a record year. The government's and central bank's latest actions to curb buying came earlier this month, and Soni said imports in June had declined drastically. He declined to give specific figures. Finance Minister P. Chidambaram said last week imports had fallen in value to about $36 million a day from $135 million before the curbs. But the World Gold Council (WGC) estimated imports could still be 300-400 tonnes in the second quarter - almost half the total for 2012 - and the government itself said imports had exceeded 300 tonnes in April to mid-May. Domestic prices are already back near levels before the rise in the duty, which indicates demand could revive, particularly as a bountiful monsoon starts to raise hopes of increased incomes for farmers and India's large rural community. On April 16, domestic gold futures hit a contract low of 25,270 rupees per 10 grams, and they are now trading around 26,734 rupees. The WGC said it expected 2013 demand - largely covered by imports - to be "at the higher end of our estimate of 865 to 965 tonnes", which would be close to the record 969 tonnes of 2011. "Demand in India is price inelastic ... the fundamental reasons for gold demand in India cannot be addressed through supply restrictions," said Somasundaram PR, managing director for India at the WGC, in an email. The WGC last month said 82 percent of Indian consumers in a survey said they thought the price of gold would increase or be stable in the next five years. Many Indians see gold as a sound investment in a country that lacks any kind of comprehensive banking system and with real interest rates stubbornly low.